Lemax Snowshoe Walkers Figurines (Set of 3) depicts a group of three happy snow walkers embracing a Winter stroll in snowshoes whilst heavily togged up in warm clothing. 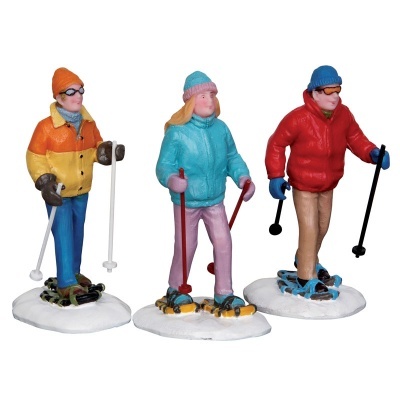 A Lemax Vail Village themed figurine trio recently added to the collection in 2012. Snowshoe Walkers set comprises of three individual hand painted polyresin figures to compliment your seasonal Lemax Village display.